Three bio-engineers discuss advances that could solve the huge problems the world faces. Can engineering solve the world’s problems? 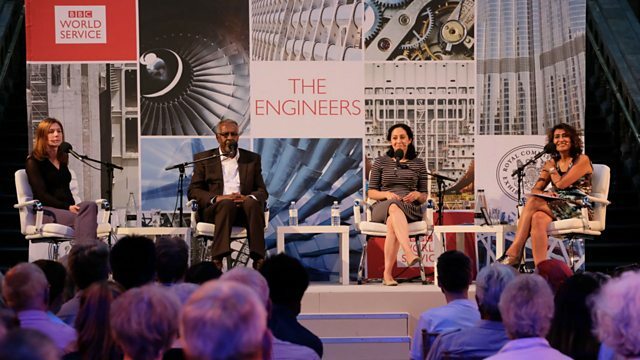 Three of the world’s greatest bio engineers discuss climate change, crop failure and infertility at a special event staged in partnership with the Royal Commission for the Great Exhibition of 1851. Professor Madeleine Van Oppen of the Australian Institute of Marine Science is developing heat resistant corals; the Ethiopian agronomist Gebisa Ejeta from Purdue University, USA is engineering drought and pest resistant crops; and Kathy Niakin leads a team at the Crick Institute, UK and is the first scientist worldwide to get national level approval to use CRISPR to edit the DNA of human embryos. They join Razia Iqbal and a public audience at the Natural History Museum in London to discuss important and ground-breaking work.